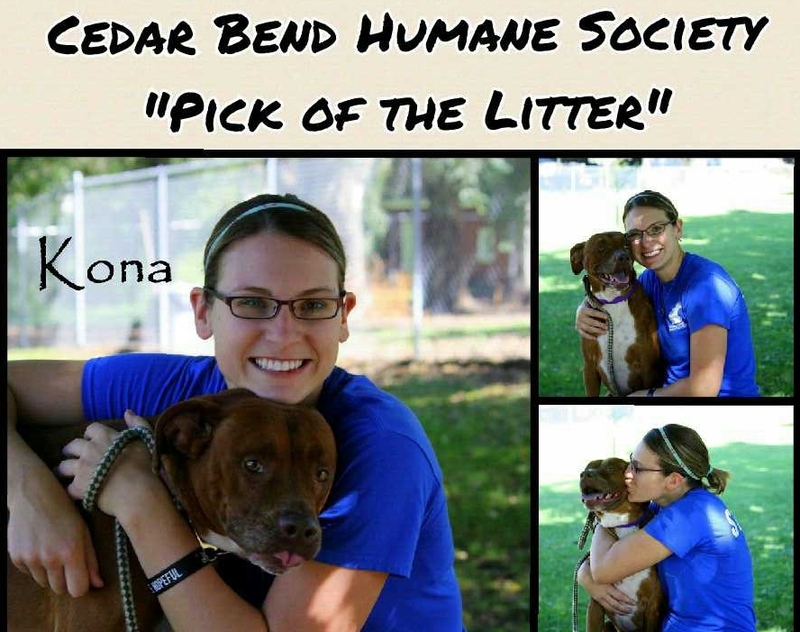 Pick of the Litter | This blog is affiliated with the Cedar Bend Humane Society in Waterloo, Iowa to share pet-friendly resources, adoption stories, and CBHS events. Each month we feature an adoptable pet chosen as a favorite by a CBHS staff member or volunteer. This month’s “Pick of the Litter,” chosen by Adoption Counselor, Kenzi Wroe, is Dirk, a 2-year-old Greater Swiss Mountain Dog/American Staffordshire Terrier mix. Dirk is available for adoption at the Cedar Bend Humane Society. View his adoption profile here. You may also pay him a visit in our Adoption Center, Tuesday-Sunday, 10 a.m. – 5 p.m. (closed Mondays). This month’s “Pick of the Litter” has been chosen by CBHS Adoption Counselor, Abby Shannon. Abby chose Kona, a 6-year-old pit bull. Kona’s adoption profile can be viewed on our website here, or better yet, stop in to our Adoption Center and meet Kona for yourself today! We’re open every day except for Monday. To fill out an adoption application, click here. This month’s “Pick of the Litter” has been chosen by CBHS Adoption Counselor, Rhiannon Gors. 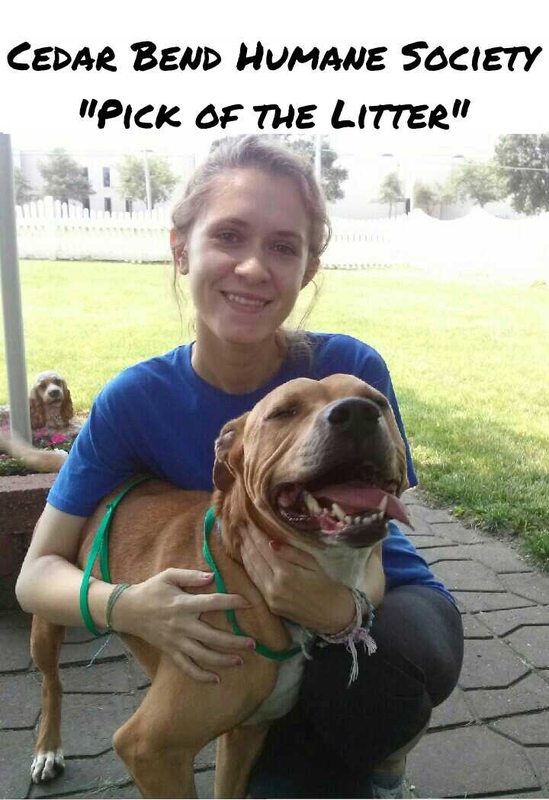 Rhiannon chose Lenny, a 4-year-old pit bull. Lenny’s adoption profile can be viewed on our website, here. Or better yet, stop in to our Adoption Center and meet Lenny for yourself today! We’re open every day except for Monday. To fill out an adoption application, click here. 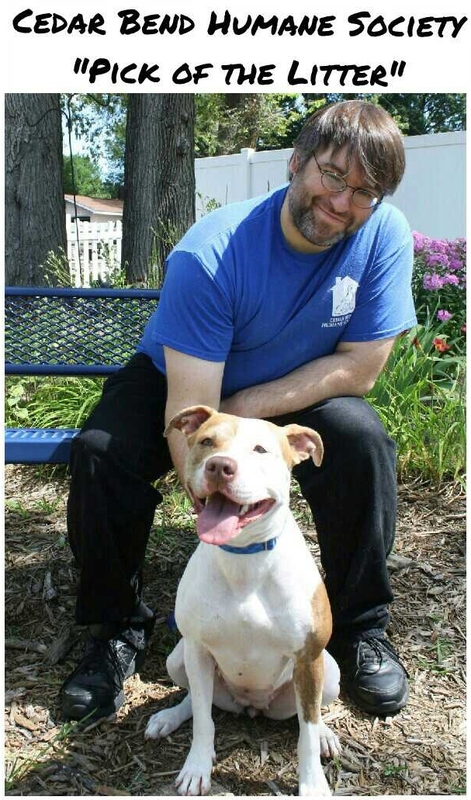 About once a month, a different Cedar Bend Humane Society staff member or volunteer is going to be featured with one of our pets waiting for a home. This is a pet that’s special to that staff member or volunteer for one reason or another. This month’s PICK OF THE LITTER is Laura. She was selected by CBHS Adoption Counselor Abigail Cresap. Visit the Cedar Bend Humane Society in Waterloo to meet Laura and to fill out an adoption application. Our adoption center is open every day except Monday. 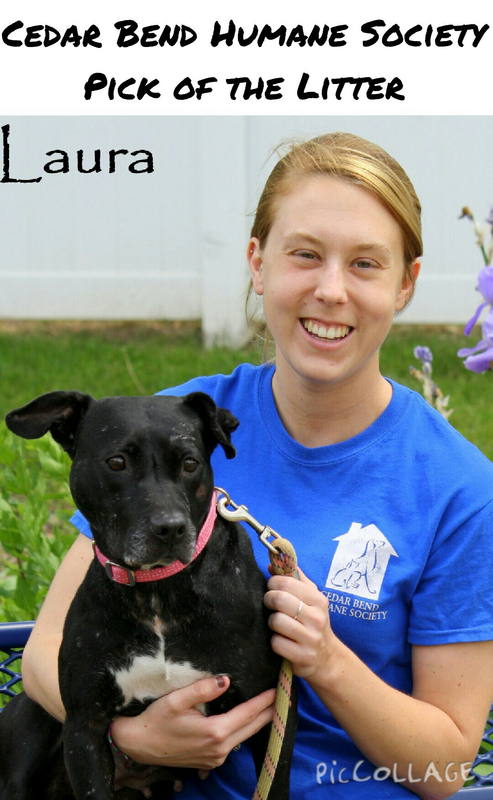 You can view Laura’s adoption profile on our website by clicking here.